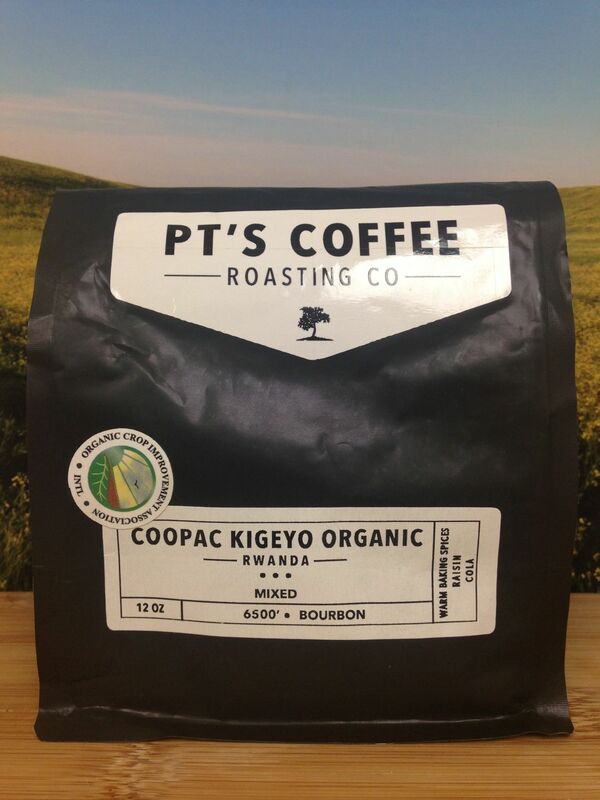 An impressively sweet and balanced Rwandan coffee from PT's Coffee Roasting Co. in Topeka, KS. Dark sugar and warm spices create a dynamic experience. Subtly aromatic of pear, sweet grains, and caramel, there is a crisp and rounded body of medium weight on the tongue. This is a very fruity coffee with notes of blueberry, lemon, golden raisin, and candied apple. The acidity is sparkling and gives a counter point to vanilla sugar and corn syrup sweetness. Light oolong tea provides a pleasant undertone to this coffee, finishing with honeydew melon and roasted grains. An intense aromatic experience with fresh blossoming flowers, vanilla, and shortbread. This coffee immediately shows its merits with a plump, juicy body that rolls over the tongue with a heavy weight. The acid profile is light and mellow, with a reminiscence of mango and orange juice concentrate. An impressively sweet coffee with concentrated sweetness of molasses, fig, and dried apricot. Gingerbread, golden malt, and sweet licorice round out the flavor experience with a sweet lingering aftertaste. Categories: Coffee Ratings and Featured. Origins: Rwanda. Flavors: Blueberry, Candied Apple, Golden Raisin, and Lemon. Brew Descriptors: Balanced, Juicy, and Sweet. Roasters: PT's Coffee Roasting Co..